When it comes to religion, everyone has some kind of position. In the modern context both God and religion are dead, though the devoutly religious among us may deny it. Secular humanism has replaced religion as the moral ground for our actions, with science, reason and logic providing the framework for the understanding and application of our morality. Yet, with all the intellectual tools available to modern man, morality seems more than ever to be some kind of chimera, shifting and reshaping on a situational basis and managed by those in a position of advantage. In other words, our morality, like history, is being shaped by the winners. 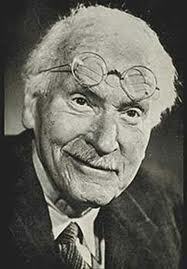 The realization that morality has fallen into an instrumental, utilitarian, philosophical box and meted out at the whim of a power elite in the form of justice and human rights based on their current economic and social paradigms immediately brings to mind Jung—and his study of the dark side of human nature, what he called “the shadow.” In all cases, the shadow leads back to our understanding of god. Jung worked through his own view of the nature of man and god by observing his patients and their presentation of archetypical behaviour, and his study of alchemy and mandalas—all connections to ancient symbolism relating to the origins of—and the need for—a personal god, that is some force that is “extra-mundane” or above worldly influence and control. This may seem at odds with the current scientific or philosophic mindset. But before forming a judgment, let’s look at what Jung says. So has Jung merely brought us full circle? Not really. Jung now begins to address the modern worldview through Nietzsche’s eyes. What Jung is telling us is that, whether we consciously agree to it or not, our psyche is hardwired to create a god of any natural force beyond our control. But, he points out, we have a choice. We can consciously choose a more powerful counterforce. “If this psychic position proves to be absolutely effective, it surely deserves to be named a “God,” and what is more, a spiritual God, since it sprang from the freedom of ethical decision and therefore from the mind. Man is free to decide whether “God” shall be a “spirit” or a natural phenomenon like the craving of a morphine addict, and hence whether “God” shall act as a beneficent or a destructive force. So what is Jung telling us? That we need to have a god but can’t create a god (such as recasting ourselves as God)? That’s exactly what he’s saying. Jung tells us that it’s not a matter of creating, but a matter of being possessed—like our response to fear—which is something the psyche understands. Our gods are already created. And here is where Jung identifies the psychic need for God. “‘Principalities and powers’ are always with us; we have no need to create them even if we could. It is merely incumbent on us to choose the master we wish to serve, so that his service shall be our safeguard against being mastered by the “other” whom we have not chosen. We do not create “God,” we choose him. So what are the characteristics of that choice? And then what? How do we handle this loss of faith? Thus is Nietzsche and his conscious ego trap dispatched. And on that thought Jung points to the present destruction of the ecosystem itself, through the denial of our gods, those inner psychic forces that might reign in our impulses before it’s too late. Jung possessed an astonishing mind—as do each of us—into which our gods are apparently extremely deeply rooted. What we choose to do with those gods remains to be seen. Your last two posts have been the best reading anywhere in cyberspace. Thank you. That's humbling. Thanks Ms. E. Of course our friend Dr. Jung makes the thoughts and the writing fly. He has some interesting notions on the nature of the soul that I didn't cover here, but are well worth revisiting. Best!